It’s named after Dutch physicist Hendrik Antoon Lorentz who derived it in 1895. How Does the Lorentz Force Work? 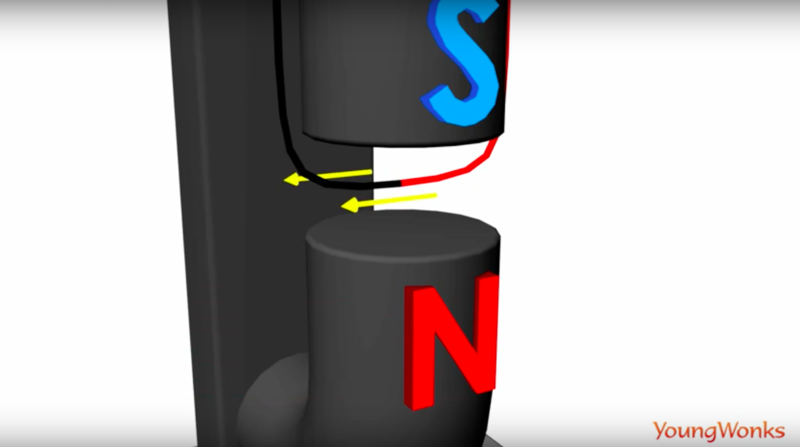 In this experiment, the two magnetic ends are creating a magnetic field and the resulting magnetic pull is travelling from north to south (upwards) as shown above. 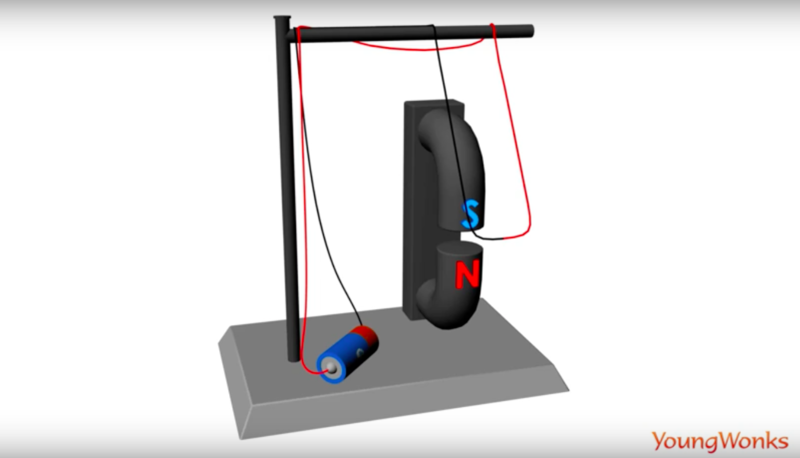 Now there is also a wire passing through this magnetic field and when the wire is connected to a power source (a battery in this example), the electric circuit would be complete and an electrical current would flow through the wire. The current would also pass through the portion of the wire between the two magnetic ends; here the current would be flowing in a path perpendicular to the magnetic field. This is when Lorentz Force, the force exerted by a magnetic field on a moving electric charge, would come into play. This force will thus push the wire. A trick to predict the direction of the Lorentz Force is the Right Hand Rule. 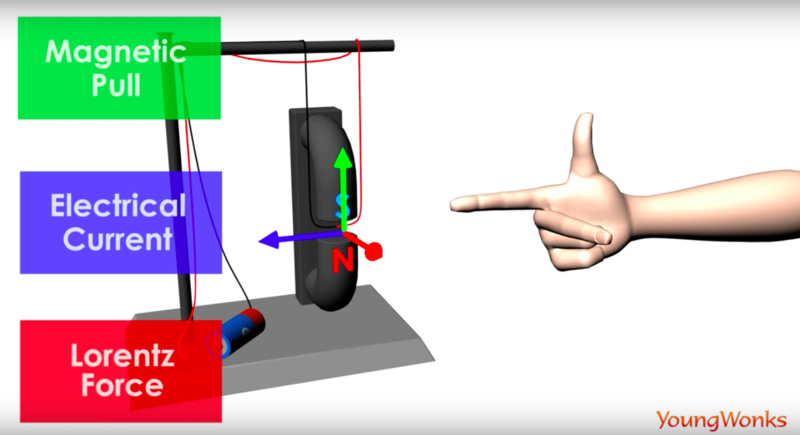 So one must take care to remember that the right hand thumb pointing upwards stands for the magnetic pull, while the right hand index finger pointing at the left represents the electrical current and the tall finger pointing outward indicates the Lorentz Force. 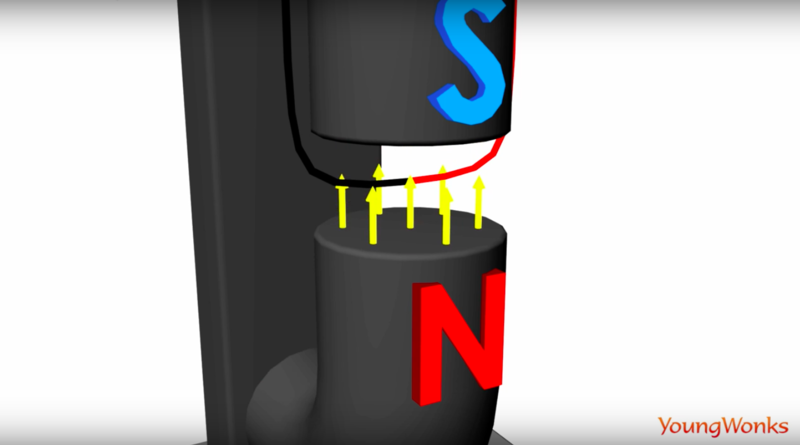 The Lorentz Force is used in many appliances; this is mainly so because as seen above, the combination of electric and magnetic force on a point charge actually produces mechanical force. The common uses of Lorentz Force thus include appliances such as electric motors, linear motors loudspeakers and electrical generators.